In 1972 Albert & Thala were living in Duncan, Oklahoma.1 In 1994 Albert was still living in Duncan, Oklahoma9 (probably with his mother, who also resided in Duncan). Thala Roberts Hinshaw, 79, of Duncan, died on Sunday, Feb. 27, 2011 at Duncan Regional Hospital. A memorial service will be held at 4 p.m. Friday, March 4, at First United Methodist Church, with the Rev. Phil Ware and the Rev. Randy Southerland officiating. Services are under the direction of Don Grantham Funeral Home. There is no visitation at the funeral home. 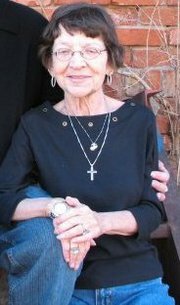 She was born on April 15, 1931 in Oklahoma City, the daughter of Clint Miller and Marcella (Jones) Roberts. Thala was a "49er", a 1949 Duncan High School graduate and a member of Jolly Jills Social Club. She attended St. Mary of the Woods and The University of Oklahoma before graduating from Oklahoma A & M (Oklahoma State University). Thala worked as a substitute teacher prior to her marriage to Albert E. "Al" Hinshaw on August 20, 1955, in Duncan. During Al's military service time with the Marine Corps, she was active in the Marine Wives Association. Thala was named an "Outstanding Young Women of America" in 1965. She was active in the Duncan community and was a member of Hestian and Savant study clubs. Her membership at First United Methodist Church included serving as a sponsor for the FUMC Youth Fellowship. She also worked and helped with the Emerson Elementary PTA and the local wrestling association. Thala enjoyed playing bridge, needlepoint, sewing and knitting and especially spending time with family and her "49er" and "coffee" friends. Survivors include her husband Al, of the home, a son, Rick Hinshaw of Marlow, a daughter, Beth Harper, of Comanche, a granddaughter: Tara Harper of Duncan, two grandsons: Dixon Harper and his wife Lindsey and their children: Hannah and Blayden of Comanche and grandson: Page Harper and fiance' Melissa Mayes, of Marlow. Honorary bearers: Duncan High School Class of 1949. In lieu of flowers, memorial gifts may be made to: Chisholm Trail Hospice; P.O. Box 2000; Duncan, Okla. 73534 or your charity of choice. 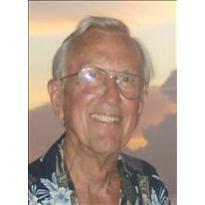 Albert E. "Al" Hinshaw, 77, of Duncan, Oklahoma, died on Monday, April 25, 2011, at Duncan Regional Hospital in Duncan. A memorial service will be held at 3:00 p.m. Wednesday. April 27 at First United Methodist Church, with the Rev. Phil Ware and the Rev. Randy Southerland officiating. Services are under the direction of Don Grantham Funeral Home. There is no visitation at the funeral home. He was born Wednesday, August 9, 1933 in Emporia, Kansas, the son of Albert F. and Marian Stevens (Burr) Hinshaw. He married Thala N. Roberts on Aug. 20, 1955 in Duncan. She preceded him in death on Feb. 27, 2011. Al was a graduate of Oklahoma A & M and served in the United States Marine Corp from 1955 to 1961. He was employed as a pilot for Halliburton Services from 1961 until his retirement in 1994. Al was very active in this community, serving as Airport Commissioner and Mayor for the City of Duncan. 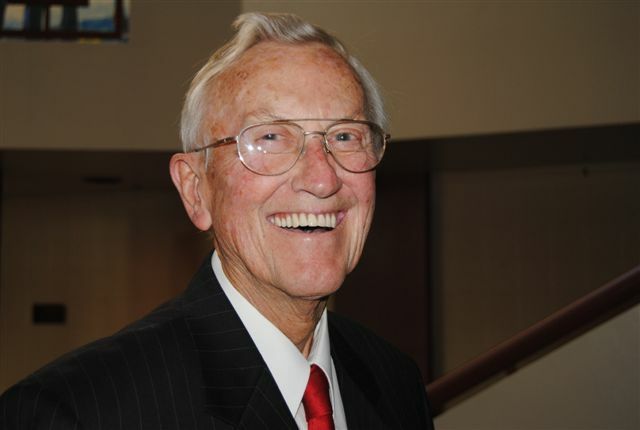 He served on the board of directors for the United Way, Chamber of Commerce, Women’s Haven, Duncan Senior Citizens and Stephens County Historical Society. Al was a member of the Chamber Ambassadors, Chamber Breakfast Committee, the Duncan City Council and First United Methodist Church. As part of his community spirit, on a typical day, Al would visit a variety of people and businesses. delivered personal donations, trimmed trees, would take shut-ins out for a day, volunteering his services and keeping abreast of community activities. Al also volunteered each year with the Community Christmas Dinner. In recognition of his outstanding civic contributions and leadership for the pursuit of an improved quality of life for Duncan, Al was honored as Man of the Year in 2008. Survivors include a son, Frederick Miller Hinshaw of Marlow, Okla., a daughter, Lizbeth Hinshaw Harper of Comanche, Okla., an "adopted" daughter, Jayna Vaughn of Duncan, three grandchildren: Tara Harper of Duncan, Michael Dixon Harper and wife Lindsey of Comanche and Stuart Page Harper and fiance’ Melissa Mayes of Bray, Okla. and two great grandchildren: Hannah Harper and Blayden Harper. He was also preceded in death by his parents and two sisters, Barbara and Judith. In lieu of flowers, memorial gifts may be made to: Chisholm Trail Hospice; P.O. Box 2000; Duncan, OK 73534 or the donor’s charity of choice. Online condolences may be made to the family at: www.granthamfuneralhomes.com. Obituary of Thala (Roberts) Hinshaw. Obituary of Albert Edmund Hinshaw.